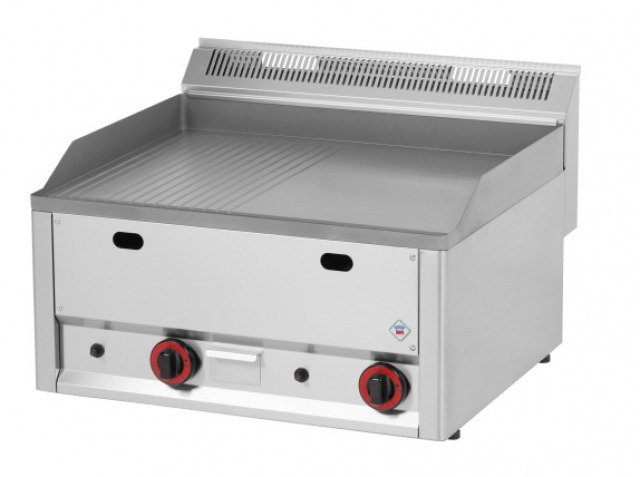 Gas griddle plate with 1/2 smooth 1/2 grooved worktop, stainless steel body. Thickness of the work top 10 mm. Plate dimension: 650x480 mm. Independent regulation for each part. 2 pcs scraper included.